As I’m heavy in preparations for Cats Paying Dues 10th Anniversary season, my solo work hasn’t been front of mind. But things are still happening 🙂 Check out these two fun events that are coming up in NYC. I’ll be a special guest with Gabrielle Stravelli with host Natalie Douglas at the world famous Birdland Jazz Club. 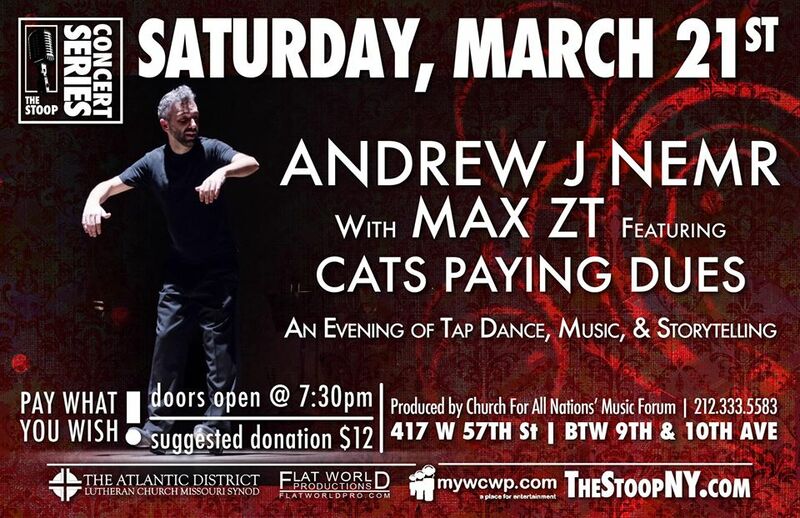 Andrew and Max play in duo with additional pieces performed by Cats Paying Dues. Music will be made, stories will be shared, and a good time will be had by all.